Bradford City take on Coventry City tonight in League One at the Northern Commercials Stadium. The Bantams are currently 23rd in the league and will be looking to climb out of the relegation zone with three points tonight. The Yorkshire side are in dire form and have won just three times in 14 games so far this season. They have won just once at home against Burton Albion and are currently winless in four having lost to Sunderland, Oldham Athletic, Accrington Stanley and Rochdale respectively. David Hopkin, who replaced Michael Collins as manager of the Bantams in September, is already under pressure to turn their fortunes around. Tonight’s visit of Coventry is another opportunity for him to get a positive result but he will be under no illusions how difficult the game will be. Bradford will be without defender Kelvin Mellor, who has suffered a broken toe. Coventry travel to Bradford tonight with a spring in their step having won their past three games in the league. The Sky Blues have beaten Charlton Athletic (A), Wycombe Wanderers (H) and Southend United (A) in the past couple of weeks. Mark Robins, who is working wonders at Coventry City. Photo by Dennis Goodwin. 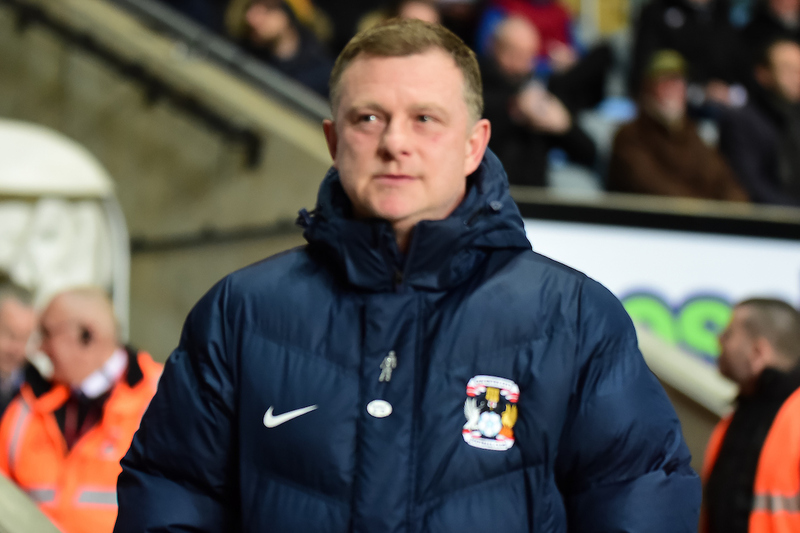 Mark Robins’ side are currently 10th in the table and are now just four points off the Play-Offs. A win at the Northern Commercials Stadium will place them well and truly in the top six picture. It is set to be an exciting game tonight, with Bradford hoping to get their season started with a win and Coventry looking to make their fans dream of a back-to-back promotion.